Wow! Did this become a printer support site without my knowledge? Obviously each sheet would have to be removed from the pad to go through the printer. The printer can handle 4x6 and 5x7 paper, this looks 5x7 but I can't tell. So in theory you could put sheets of this paper into the printer, and print on them. I am not a printer expert, but a computer person that uses printers for lots of things, but I don't think you want to do that. This looks like carbon paper where the white sheet is automatically copied to the yellow sheet. This will leave a residue on your printer feeder mechanisms over time. You will not get a clean white sheet through after a while. And you have to print on both sheets. I also think the paper is too light to go through an automated printer and will jam up. 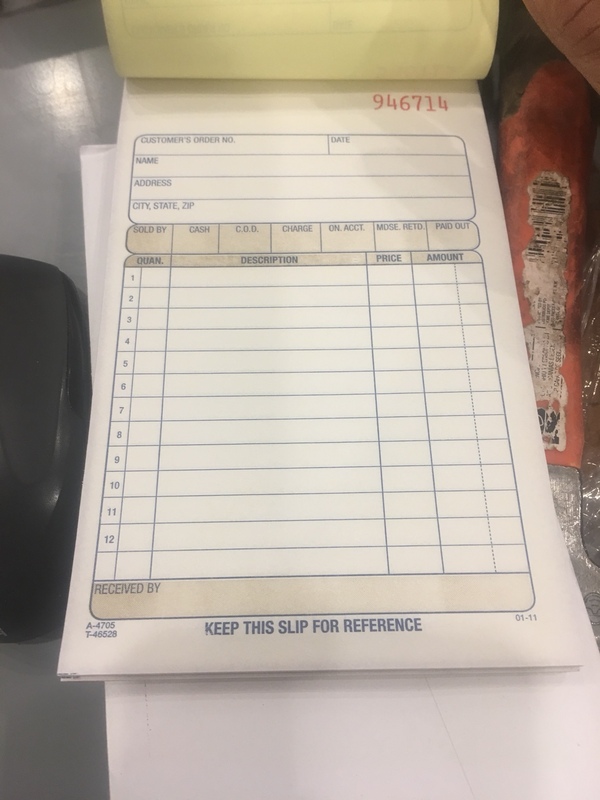 My recommendation is to get label paper, 2x4 inches or some size you like and print your customer information on the sticker and put it onto each sheet of the pad. That is until you use up the pads and then switch to an all paper solution.